This page will examine common misconceptions and provide some tips on how to care for your eyes—from childhood to old age. 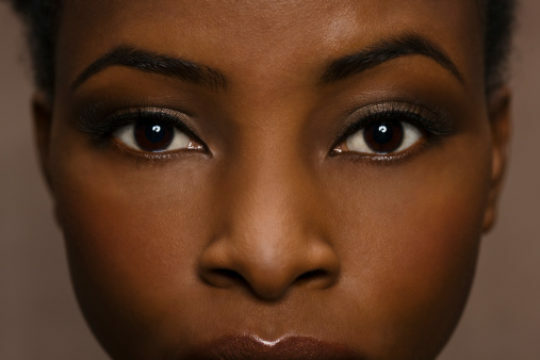 Below are some common questions people have about their eyes and relevant answers. Can crossed eyes be treated? Strabismus (crossed eyes) does not improve on its own, but it can be more easily corrected in younger children. That’s why it is important for your child to have an eye exam early, first when he or she is an infant, and then again by age two. Will using a nightlight in my child’s room contribute to nearsightedness? There is not enough evidence to support this claim. Keeping a nightlight on in your baby’s room may actually help him or her learn to focus and develop important eye coordination skills when he or she is awake. Will eating carrots help me to maintain healthy vision? Eating carrots will provide you with the small amount of vitamin A needed for good vision. Vitamin A can also be found in milk, cheese, egg yolk and liver. Will sitting too close to the TV or a computer monitor hurt my eyes? Sitting closer than necessary to the television or a computer monitor may give you a headache, but it will not damage your vision. Will reading in the dark hurt my eyesight? As with sitting too close to the television, you may get a headache from reading in the dark, but it will not weaken your sight. Will looking straight at the sun damage my eyesight? Looking at the sun may not only cause headache and distort your vision temporarily, but it can also cause permanent eye damage. Any exposure to sunlight adds to the cumulative effects of ultraviolet (UV) radiation on your eyes. UV exposure has been linked to eye disorders such as macular degeneration, solar retinitis and corneal dystrophies. Will using glasses or contacts weaken my eyesight? Your eyes will not grow weaker as a result of using corrective lenses. Your prescription may change over time due to aging or the presence of disease, but it is not because of your current prescription. Will wearing contact lenses keep nearsightedness from progressing? Properly fitting contact lenses help to refocus the light that we see but they do not change the long-term progression in prescriptions. Can cataracts be removed with lasers? There is no laser currently in use that removes cataracts. The most common method of removing cataracts in this country employs the use of ultrasound. Can cataracts be removed before they are fully developed? Modern technology allows us to remove a cataract at any stage in its development. The appropriate time for cataract surgery is usually when the cataract has caused enough of a decline in vision that activities of daily living are compromised. Parts of an eye, such as the cornea, can be transplanted. It is currently impossible to transplant an entire eye to restore vision.